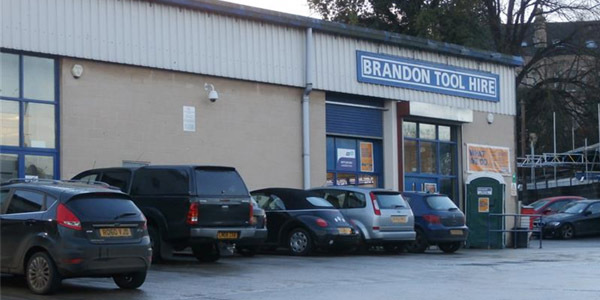 Our specialist CCTV and intruder alarm installers were contacted by Brandon Tool Hire in Bath as they required a new HD CCTV system and intruder alarm to help deter criminals from their store. We met with the clients at their property and discussed their individual requirements. Not only this, but we also carried out a site survey to both map the layout of the premises, and to find the optimal places that the security systems would need to be installed to ensure the highest levels of protection for both the staff and customers. Our specialist CCTV and intruder alarm installers are able to provide you with high quality, long lasting solutions that ensures the utmost protection for your property in Bath or the local surrounding areas. Our expert intruder alarms utilise the latest technology to ensure the the utmost safety and protection for your staff and customers at all times. Our professional installers arrived at the property on the day specified by the client and, utilising the latest technology and equipment, we were able to provide the clients with high quality, long lasting HD CCTV systems and intruder alarms. Not only do these ensure the highest levels of protection at all times, but they are also integrated together which allows them to secure the premises to the highest standards. If you require a specialist CCTV system and intruder alarms, contact our experts today for a free, no obligation quote on our services and discover more about how we can help you with all of your individual requirements.